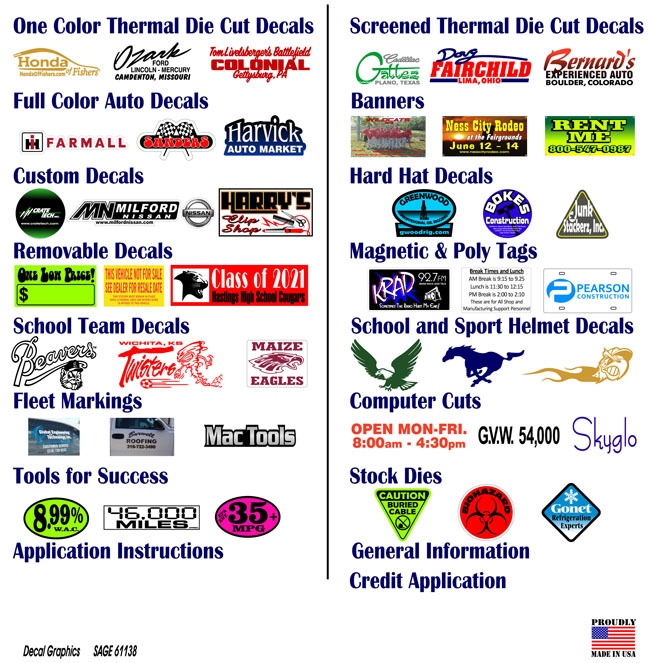 Decal Graphics is one of the largest manufactures of small thermal die cut decals in the United States! Please contact us for all of your decal, sign, and banner needs. We do what we promise. Highest quality with the best pricing in the industry!